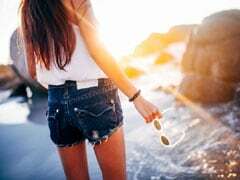 Been looking for ways to amp up your ethnic style game? Then take tips from Bollywood actress Kajol, whose recent airport look is proof that a pretty ethnic suit never fails to impress. We recently spotted the actress in Mumbai airport when she instantly stole all attention in a gorgeous blue salwar suit that featured standout floral prints. She teamed it with comfy flats and chic aviators to travel effortlessly yet show us that one can stay on point too. Like Kajol, get ethnic looks on point in this gorgeous salwar suit from Biba. It features a long jacket with woven detailing and palazzo pants for a comfy fit. You can buy this ethnic suit for a discounted price starting at Rs 5,722. Shop here. 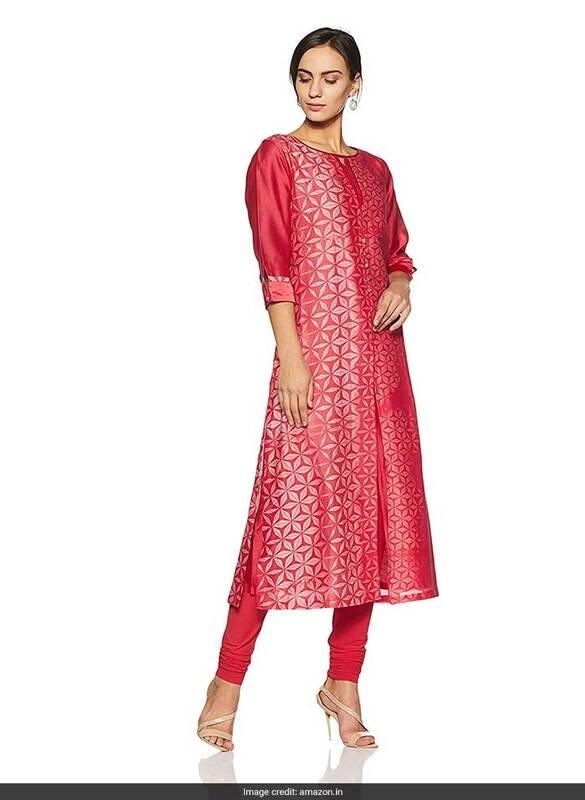 Make a chic style statement by dressing up in this elegant ethnic suit from Jaipur Kurti. The dupatta features intricate woven detailing that instantly adds an extra edge to the overall look. 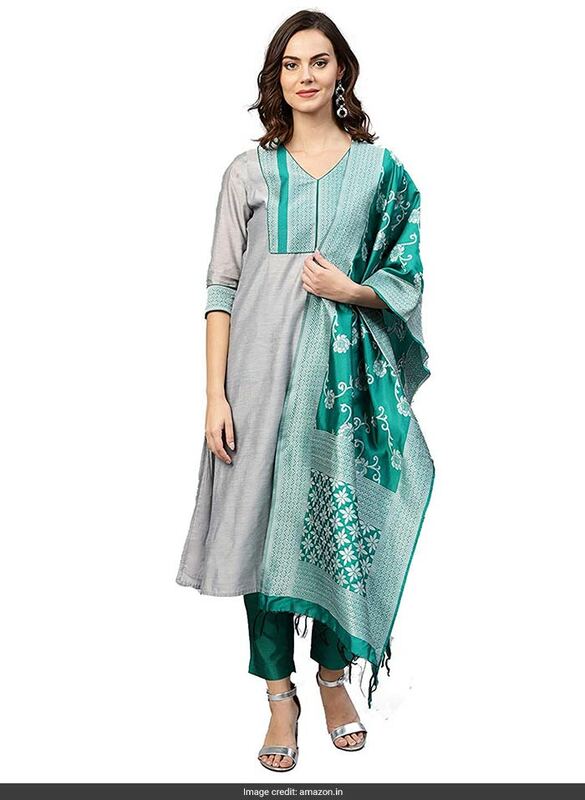 You can buy this ethnic suit for a discounted price of Rs 2,239. Shop here. Be the centre of attention when you wear this stunning anarkali suit from Satya Paul. In pretty pink hue, it features intricate floral prints that sets it a class apart. You can buy this ethnic suit for Rs 13,995. Shop here. 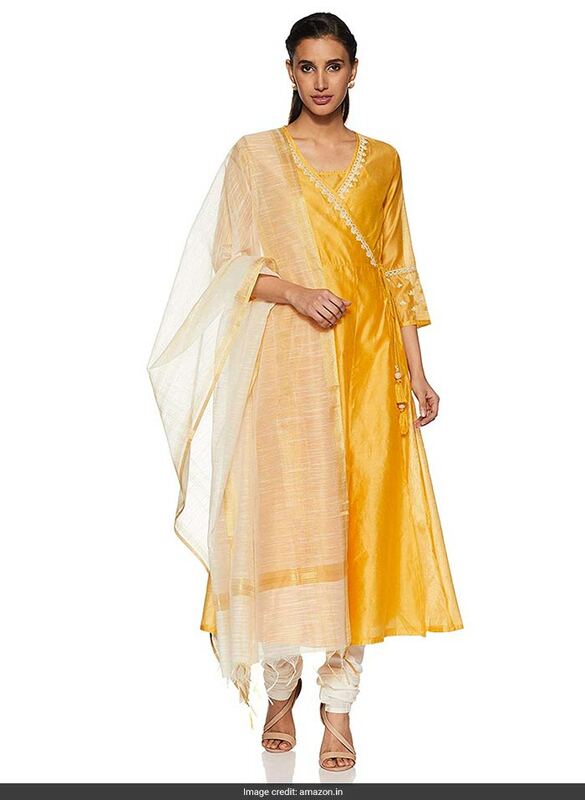 Spread some sunshine by notching up your ethnic game with this pretty yellow salwar suit from Global Desi. it features a relaxed anarkali kurta with churidar for a sleek look. You can buy this ethnic suit for Rs 13,995. Shop here. Is black your favourite colour? Then don't miss out on this gorgeous salwar suit that is sure to become your favourite. You can buy this ethnic suit for Rs 2,797. Shop here. Stock up your ethnic wardrobe with these trendy salwar suits and stay stylish.